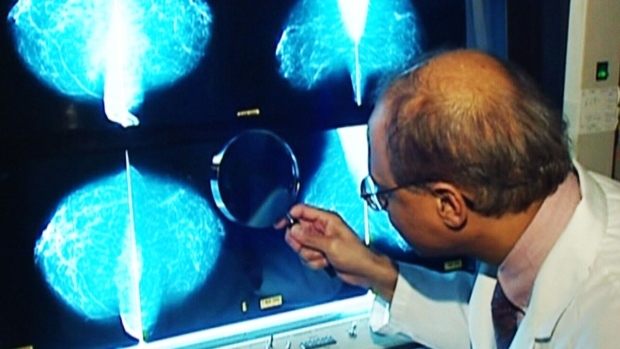 TORONTO -- Women of South Asian descent are more likely to be diagnosed with breast cancer in its later stages compared to the general population, while women of Chinese ethnicity tend to be diagnosed when the disease is at an early stage, an Ontario study has found. Given that Canadians have equal access to health services, the findings suggest programs to promote screening and early diagnosis among South Asian women should take into account cultural factors that may be roadblocks to seeking timely care, the researchers say. "There's an education issue," said medical oncologist Dr. Ophira Ginsburg, a scientist at the Women's College Research Institute in Toronto, which led the study. "If you're from a country where there is no preventive care in general, you go to the doctor if you're very ill.... You may never have met somebody who's survived cancer, (so) a pervasive belief that cancer is a death sentence would not be surprising." In South Asian countries such as India, Bangladesh, Pakistan and Sri Lanka, breast cancer and cancer in general are often taboo subjects. There is also often a sense of fatalism associated with the disease, said Ginsburg, who has also worked in Bangladesh. 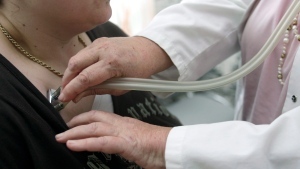 The study, published Monday in the journal Current Oncology, used the Ontario cancer registry to identify more than 41,000 Ontario women diagnosed with breast cancer between 2005 and 2010. Of those, 1,304 were of Chinese descent and 705 were South Asian. Researchers found South Asian women were more likely be diagnosed when their breast cancer had already spread to lymph nodes or to other parts of the body -- called stage II to stage IV malignancies -- which can carry a worse prognosis. "What we were surprised to see was that the Chinese women in Ontario ... were more likely to be diagnosed with the smallest kind of tumours that are lymph-node negative -- what we call stage I -- than the average breast cancer patient in the province," said Ginsburg. "And when we directly compared Chinese versus South Asian, we really saw a difference." In a previous study, the research team asked women from South Asian communities in Ontario what factors prevented them from seeking care. One reason given was a cultural sense of collectivism, Ginsburg said, "that a woman's value is more about assisting in the family's prosperity and development and health and well-being, as opposed to 'It's about me and I deserve it,' which is more of a North American or Western mindset." "We're starting to look at these factors that the women from the communities are speaking about and finding better ways to enhance our health messaging, including to the men in the family," she said. In an accompanying editorial, Dr. Aisha Lofters of St. Michael's Hospital in Toronto says the study has identified a health inequity among South Asian women that must be addressed in both Ontario and across Canada. Canadians of South Asian descent are the largest visible minority in the country, followed by those of Chinese ethnicity. In 2013, 20 per cent of permanent residents who had immigrated to Canada came from a South Asian country. "The authors have described a health inequality in stage at breast cancer diagnosis for South Asian women in Ontario -- an inequality that certainly has the potential to be unnecessary and avoidable, unfair and unjust," Lofters writes. "Now it falls to the oncology community -- that is, to clinicians, researchers and policy makers -- to act." Ginsburg said Chinese-Canadians were among the first ethnic groups in Ontario to be targeted with culture-sensitive health promotion campaigns, and that may be reflected in the earlier-stage breast cancer diagnoses among this population of women. "So it's very important that we tailor our recommendations and act in a more informed and nuanced manner, together with South Asian community agencies and with Cancer Care Ontario, to find what messaging works best," she said. "Does that mean we will see more of this, earlier presentation, in the future in the South Asian community? We hope so."